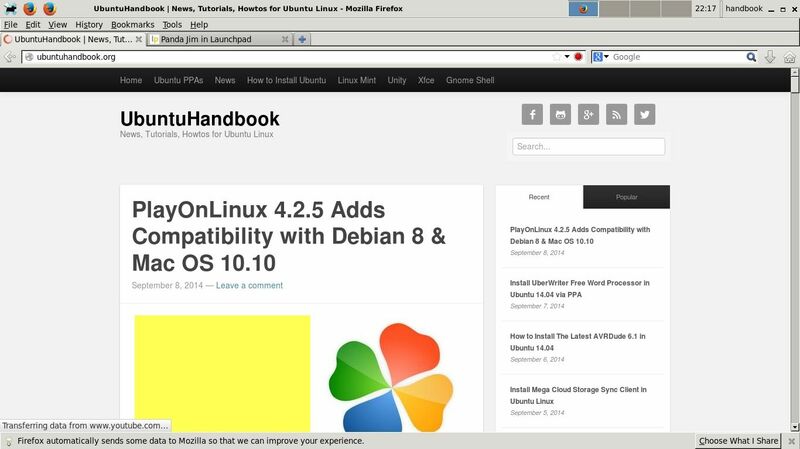 This simple tutorial shows Xubuntu or Xfce4 users how to get the titlebar & control buttons of maximized window on the panel using Windowck plugin. First take a look at the result (Ubuntu 14.04 with Xfce 4.10). You’ll see the title of current Firefox tab on top panel and the window control buttons on the top-right. 1. Install the xfce4-windowck-plugin, written by Alessio Piccoli and Cédric Leporcq. Then double-click the package to open with Software Center and click the install button to install it. 2. 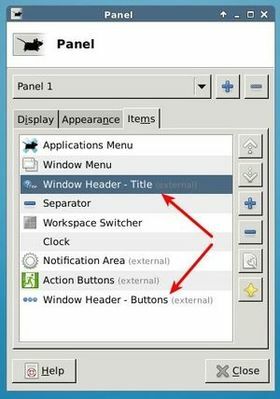 Add the ‘Window Header – Title’ and ‘Window Header – Buttons’ to panel. After that, maximize a window and you’ll see the window title and buttons on the panel. Hide the original titlebar when the window is maximized. Log out and back in to get it work.